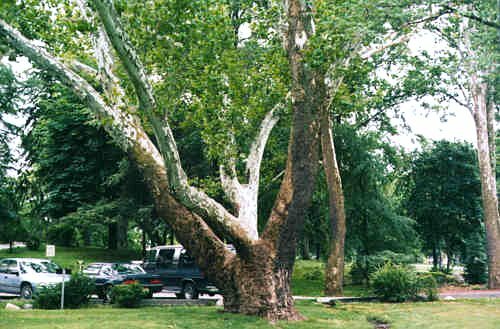 The legend attributed to the Legendary Sycamore on the Grotto Lawn. The oldest, most photographed tree on campus, is discussed in A Cave of Candles in Chapter 20, Chapter 21, and Chapter 22. Two 1896 photographs of the Grotto come to light just in time for the Grotto’s 100th Anniversary. The story is told in the Introduction to A Cave of Candles. The story behind the discovery of this Rainbow over the Grotto photograph which appears at the end of A Cave of Candles in Chapter 26. The story behind this lost photograph of the Nativity Scene at the Grotto which surfaced again in a most unusual way. This photograph joins the Heavenly Light photograph at the end of A Cave of Candles in Chapter 26. Four stories associated with the first Notre Dame Stadium: A once in a lifetime thrill for two lucky people; a miniature parachute bread drop; and a 1930 picture of the stadium under construction that makes everyone smile. In case you’re keeping score, the new official capacity of Notre Dame Stadium is 80,225. Not counting Louie Kubiak who must be smiling in football heaven right now. This 1957 plan of the Notre Dame Grotto, often requested but never found, unexpectedly, resurfaced 43 years later. While staying at the Log Chapel at St. Mary of the Lake, he visits South Bend. He details the life of a fur trader in St. Joseph Valley and tells of his walk to Bertrand, MI and the hard times the settlers had there before Sorin’s arrival in 1842. The story behind how the artwork and paintings of this Native American Holy Cross Sister wound up in a dusty corner of a cluttered garage antique shop in Edwardsburg, Michigan. Dubbed The 5th Horseman, his special trailer in which he traveled throughout the nation was a familiar sight at the north ramp of the Notre Dame stadium at home games. Joyce Kilmer’s friendship with President Rev. Charles O’Donnell, Poet Laureate of Indiana and Mother Madeleva, also a poet, is discussed in A Cave of Candles in Chapter 23. Both corresponded with Kilmer’s wife after he was killed in WW I. His photograph and his last letter to Father Hesburgh relates his fond memories of the Grotto. The story behind the handgun and rifle Father Nieuwland used to shoot down leaves from the trees during specimen-collecting trips. Also, the humorous poem and note he wrote on birchbark to Pres. Fr. John W. Cavanaugh on one his field trips. Rev. Charles Carey’s 1953 essay was written for one of Fr. O’hara’s Religious Bulletins. The sychronicity of how the essay, and the identity of the author, were discovered via serendipity. Strange story, of extraordinary circumstances associated with Rockne’s tragic plane crash, invites speculation more than seventy years after his untimely death. The Forgotten Empress Eugenie Crown is documented in A Cave of Candles in Chapter 12, and Chapter 12a. Its disappearance was paradoxical in that many people saw it during the years it was lost. Ellen Ewing Sherman, the wife of General William Tecumseh Sherman, and Mother Angela’s family, the Gillespies, were related. Members of all three families went to both schools. Their family ties to both campuses are detailed in A Cave of Candles in Chapter 15. After her capture, Frances Slocum, was adopted and raised by the family of a Delaware Indian Chief to take the place of their dead daughter. The strange story of how she was located in her sixties, living a among the Indians, is told in A Cave of Candles in Chapter15a. Four Notre Dame students walk to Chicago in 1914 to see Notre Dame play the Carlisle Indians. The story of one of those sons of Notre Dame who was a member of that adventuresome foursome. The Log Chapel reburials and a German Missionary’s diary describing the Indian Chapel and its surroundings in 1840, before Sorin’s arrival. A newborn Indian baby is baptized in St. Mary’s Lake. Photographs that inspired these 1917 Art Deco paintings of the campus in The Dome turn up 80 years later. The story behind the paintings and photographs is told in A Cave of Candles in Chapter 3. Close-up photographs and the significance of the motifs at the base of Mary’s statue on the Golden Dome at the University of Notre Dame du Lac are discussed in A Cave of Candles in Chapter 5. Mary’s Queenly colors, Gold and Blue, are also Kingly colors. Father Edward Sorin, founder of Notre Dame and St. Edward’s University, held King Edward, St. Edward the Confessor, as his patron saint. Gold and blue, the royal colors of the king, are the colors held dear by the two educational institutions. A tribute to my brother's adventuresome life. He enlisted in the Army and was sent to Alaska. When he returned to Indiana he spent twenty years fulfilling his dream to build an Alaskan Homestead in a six acre woods on Sorin land a mile north of Notre Dame. This is his story. Update 8/3/10: Bill's sons have just fulfilled their dad's final request that his ashes be scattered at Lake Solitude. Their summer adventure is detailed in a postscript added at the end of this story (here). A replica of the Notre Dame Grotto is built at St. Stanislaus Church in South Bend, Indiana in 1962. The Always Have a Dream story related to its construction inspires, A Cave of Candles: The Story Behind the Notre Dame Grotto. Fr. Sorin and Henry Lasserre, Bernadette’s official historian, receive help from Monsieur Dupont, the Holy Man of Tours. In Miracles at Lourdes, Henry Lasserre pens a Dear Reader letter reflecting upon the part Our Angel Guardian plays in the various circumstances of our lives. An interesting connection between Rudy and Father John Cavanaugh who is depicted in his movie Rudy. Plus photographs taken at the premiere party in the Hesburgh Library penthouse. The fulfillment of the lifelong dream of an alumnus, to live in a home close to Notre Dame. The Notre Dame alumnus who created it, and the mission it is still accomplishing, in the years since it first appeared on a poster on a tree near the Grotto, in the month of May, 1995. A visit to the Grotto in 1964 and again in 1980, and the date of a Wedding Anniversary foretell author’s future mission to research the story behind the Notre Dame Grotto. I’ve been pondering that one single sentence throughout the preparation of these last Legends and Lore stories. At first magic didn’t seem the right word to describe those otherworldly experiences I have encountered throughout my research. Then I found this dictionary definition of magic: A mysterious quality of enchantment. Which defined, exactly, the delight and heightened awareness I have experienced whenever help from above has been there when I needed it the most. So too, the definition of a labor of love: any work done with eager willingness, either from fondness for the work itself or from affection for the person for whom it is done which also fits, so well, those loving creative impulses that have a way of setting those wonder-working moments in motion. My email friend’s name is Joyce, but I think of her as Joy because she has brought joy into my life and Joy is a sign of God’s Presence. She was there when I needed someone just like her. Her joy-filled electronic presence and the warmth and spontaneity of her gift of words has inspirited the completion of these Legends and Lore Web pages. My heartfelt appreciation goes out to all those ANGELS UNAWARE, whose Heaven-sent help and encouragement throughout my odyssey of discovery, have made The Spirit of Notre Dame: Its History, Legends and Lore a reality. © Copyright 2001 by Dorothy V. Corson.